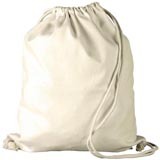 Promotional Eco friendly Natural cotton bags are versatile promotional items that can be used for multiple purposes; as a shopping bag, and for day to day use, to carry your laptop, for food shopping, as a baby changing bag, and much more. Promotional cotton bags have large promotional print areas and can be printed on either side or on both sides. You can have a full colour transfer or a simple one colour print depending on the effect you wish to achieve when promoting your campaign or marketing message. 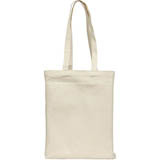 Promotional cotton bags are available as an eco friendly promotional bag, fair trade or a standard promotional bag. Whichever cotton bag you may choose, they are all super promotional items. The natural unbleached cotton fibre bags make very popular promotional items currently because of their eco friendly promotions aspect. These promotional items are also highly cost effective. In addition to conventional promotional cotton bags we have many styles of promotional eco cotton bags available. 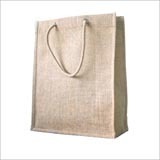 Within our range of promotional eco cotton bags we have Jute bags which are finished in natural jute material. Strong, eco-friendly and re-useable - jute bags work well across many sectors. The padded cotton long handles fit comfortably over the shoulder if needed. This versatile bag also makes a great impression at conferences or events. Also the promotional eco friendly cotton drawstring bag has double drawstring canvas sack, complete with hanging loop and a gernerous branding area to ensure you get your promotional message across.